Just because you can purchase over-the-counter medications at your local grocery store or drugstore, it does not mean these are harmless. Over-the-counter medications can have side effects when overused, interactions with other prescription medications, dangerous when mixed with alcohol, and ineffective if expired. The elderly are at greater risk of harmful side effects if they are taking multiple medications or dealing with a chronic disease or pain. How can your loved one be safe? Talk to your doctor. Especially when prescribed new medications, make sure you understand the dosage, the reason for use, and any additional instructions. Disclose all the medications that you use to your physician, including over-the-counter, herbal medications, and supplements. Ask your pharmacist. If you need relief from pain, arthritis, allergies, or a cold, ask your pharmacist for recommendations. 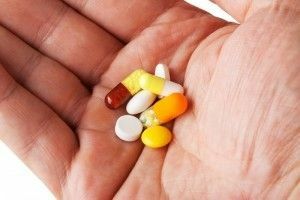 If you have new medications, or your medication regime has changed, it is best to check with your pharmacist about any drug interactions with over-the-counter medications when picking up your medicine. Use one pharmacy. All of your medication and dosage information will be at one location for a quick check. This option will assist your pharmacist in making the best recommendation for your needs. Dosage for OTC. Always read the directions and warnings on your medications, both prescribed and over-the-counter. Follow the dosage recommendations for over-the-counter medications correctly. More does not always mean better. Memory issues. Some seniors with memory loss or dementia may forget that they have taken an over-the-counter medication and risk overdose. Talk to your physician if you are taking an over-the-counter drug on a daily basis. If they agree, then set up a chart system or pill boxes to avoid an accidental overdose. If you are caring for a loved one with dementia, keep all medication locked away or out of their reach. Keep a written list. A list of all medications, including prescribed medications, over-the-counter, herbal remedies, and supplements, is helpful to have for your physician or pharmacist to quickly review for interactions. This list should include the drug name, dosage, time of day taken, and any special instructions. Keep a copy in your wallet and a second copy with a loved one. Declining eyesight and hearing. Some seniors may not be able to process the instructions or safety concerns with their medication due to poor eyesight or hearing loss. Ask your loved one if they are clear about their medication They may be embarrassed that they could not hear or see the instructions. It is always best to check. Many elderly adults may be unaware of the side effects, adverse drug reactions, and possible medication interactions that may result from the use of over-the-counter medications. Caregivers and older adults need to educate themselves about safe over-the-counter medication use. And if you are unclear, ask questions and speak with your physician or pharmacist immediately.